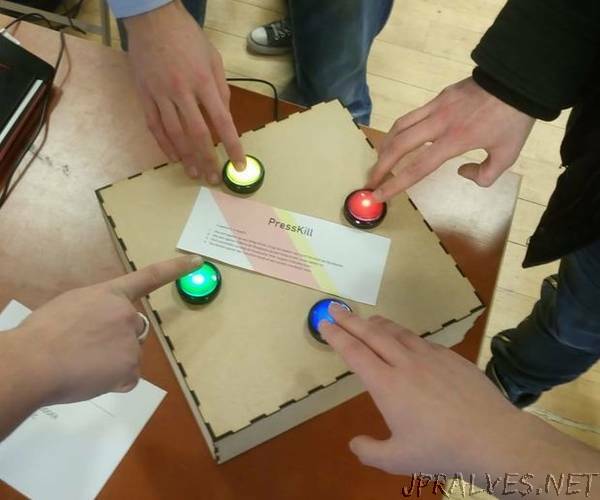 “PressKill is a physical game for four players I designed and made using an Arduino for a school project. The making of the game involves programming, soldering, making vector plans, laser cutting and some gluing. Wanna make a rad game to play with friends? Read on!